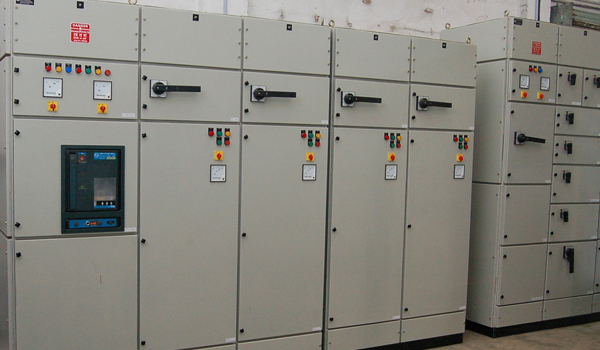 Increase installed capacity of your transformer, D.G. Sets, Cables, Switch Gears etc. Avoids penalty due to power factor & maintains power factor close to 1.00 on real time bases. Improves quality of power, by avoiding surges, sag or low voltage with heavy machinery like compressors, air conditioning plant, cranes etc. (Save the cost of star – delta starters or soft starters )Eliminates harmonics ( Optional features ) Absorbs switching transients coming from the source or upstream. Due to fast correction of P.F. large H.P. motors can be started on generators already near full capacity. The systems is maintenance free because it does not use contactor for switching the capacitors. Capacitors life is enhanced to minimum three times of normal life due to smooth connection and disconnection. The detuned reactors prevent resonance by shifting the capacitor / network resonance frequency.